The hotel lies in the middle of the National park, next to the incredible Yellow Waters. That may explain why customer service is something they never ever heard of. I witnessed our tour guide calling them, informing them we'd be a bit late for lunch and asked them to be prepared anyway. When we arrived at 2:30 p.m. they were not even ready to do some sandwiches for us. 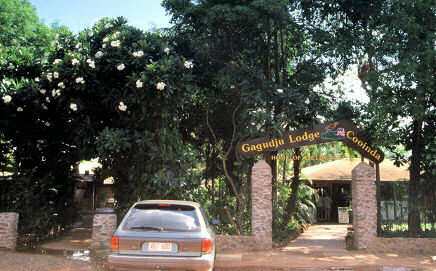 Anyway when going to Kakadu again, I will stay here again, from the geographical point there simply is no better place. That's what they live of: if you want to see the best site of park, you need to prepare yourself for heat, flies, moskitos, saltwater crocodiles and the Gagudju Cooinda.